Female Hair Loss | DesignX Hair Creations, Inc. Female Hair Loss | DesignX Hair Creations, Inc. There are over 50 million men and over 30 million women who experience hair loss and thinning in the United States. DesignX is well versed with many customized solutions for both male and female hair loss. Not only are we experts in the men’s hair loss arena, with over 30 years of experience, but we are especially experienced in the more challenging women’s hair loss segment. DesignX has a special expertise and understanding of female hair loss and half of our clients are women. Hair loss in women can take different forms and requires a diverse set of solutions. Women with hair loss are greatly underserved and DesignX is one of the very few hair loss companies who has the resources and experience to address their varied concerns. We have over 25 years of experience just in this segment alone. DesignX has developed proven treatments, products and hair replacement services to specifically address a woman’s unique hair care needs. DesignX is an advocate of addressing female hair loss and is consistently raising awareness, educating the consumer and informing the public about this subject. Many women do not know that there are viable solutions to their concerns. They are in the dark, feel alone and without control. We strive every day to inform women of their options and help them realize that they are not alone in their struggles. They don’t have to wear wigs, hats or headgear to hide their loss any longer. They have legitimate options to regain their hair and it all starts with DesignX! If you’re a man or woman struggling with hair loss or thinning hair, please take a serious moment to consider taking the first step to forever changing your life. Call us or submit the inquiry form on this page to have us help you get started in taking control of your life again. You deserve much more! Your complete satisfaction is fully guaranteed with all of our proven solutions below. If you’re not completely satisfied with your results, we will make it right at no cost to you, or apply your payment to an alternate solution. Hair replacement is a perfect customized solution to permanent hair loss. It is a simple, non-surgical and non-invasive process. 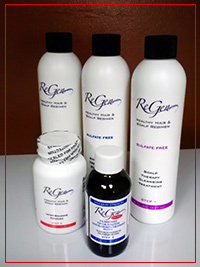 More importantly, it is an immediate solution that brings back your hair in one sitting. The process involves integrating your own existing hair with 100% natural human hair in a very careful manner. The integration and styling process creates a very natural and age-appropriate appearance. If you want immediate results at a much lower price point than transplant surgery, choose our industry leading, state-of-the-art hair replacement solutions at DesignX. Our personalized and customized process restores your desired appearance in the most natural way. For women in particular, hair replacement is clearly an ideal option. Our personalized solutions for women restore a women’s beautiful appearance in the most natural way. DesignX is the expert in this field. We understand the finer nuances of restoring a woman’s hair and satisfying her most discriminating needs. The DesignX MAXimer is a perfect in-between solution when hair replacement or surgery is not the preferred option for men and women experiencing diffuse thinning, but not necessarily balding. The MAXimer quickly and seamlessly utilizes a strand-by-strand method to increase, volumize and MAXimize your own existing hair. We utilize 100% individual human hair strands that we attach to and integrate with your own existing hair. The result is a perfectly blended and styled appearance that fills in the thinning areas of your hair and restores the fullness and density of your hair. Note that other salons that may utilize a similar method do so with synthetic (wig) hair. The DesignX MAXimer always uses 100% human hair. It is non-invasive, simple and creates immediate fullness of hair, all in one sitting. For many people, a hair therapy and growth treatment can be one of the best solutions to naturally preserving your existing hair, preventing future hair loss and growing back your own new hair, particularly if you have recently started experiencing hair loss or thinning. 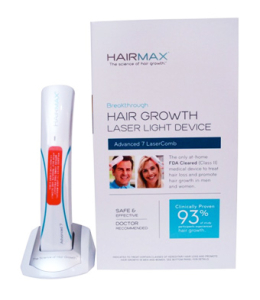 DesignX offers an FDA-approved hair loss prevention and growth therapy program that utilizes a special topical agent combined with laser therapy. If your current hair loss condition has not progressed to a level where either hair surgery, hair replacement or the MAXimizer would be an optimal solution, our therapy treatment is a great option for you. DesignX utilizes a minoxidil-based suite of products along with laser therapy to stop your current hair loss in its tracks, preserve your existing hair and start to re-grow new hair from living hair follicles. These products include: (1) FDA-approved minoxidil, (2) specially formulated shampoo, conditioner and scalp cleanser, (3) herbal supplements and (4) FDA-approved laser comb. More importantly, we provide a monthly evaluation and progression analysis report to accurately analyse and identify the progress of the therapy program at the follicle level of your hair.